A few weeks ago, I decided to personally start my journey in learning more. This meant immersing myself in unfamiliar territories, keeping an open mind, and initiating in conversations that will allow meaningful exchange of information. This is exactly what my boys and I did when we went to the Dive Resort Travel Expo a few weeks back. 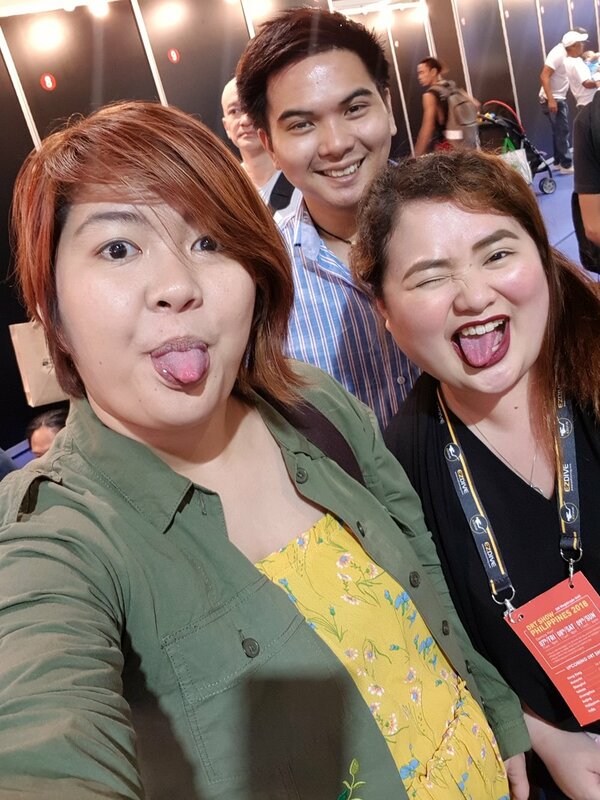 This 3-day gathering for diving enthusiasts, marine conservationists and ‘water babies’ attracted more than 25,000 visitors and over 150 top-level Philippine and international brands from 23 countries! It also showcased 45 Philippine diving resorts invited by the Philippine Department of Tourism. Exhibitors included water sport equipment manufacturers, diving resorts and orgs. But I think the heart of everything [and one of the main reasons why we went] was to celebrate the world under water, and to give avenues to travel better ~ equipping guests with avenues to support marine conservation efforts. They also on-boarded 18 international VIP and Guest Speakers from various diving fields including Underwater Photography, Scuba Diving, Technical Diving, Freediving, Dive Destination, Marine Biology and Ocean Conservation. As soon as we walked in, we were greeted by this big screen showing clips of beautiful corals found all over the Philippines. We were in awe. I’m not as fond of the ocean as Bobby is…. and Ynigo has always had this love-hate relationship with it. However, seeing all of that made me wish I was. I know so much people who love exploring the deep, not fearing what could be underneath all that nothingness. I know people who love to scuba dive, free dive and spend hours floating in the open sea. I was always so curious as to why. We were making our way through the thick crowd. People were hoarding scuba gear left and right, others were booking trips and choosing where they want to go next. Some were gathered in the talk area - some just lounging there, while others were listening attentively to the speakers. I heard someone shout my name, and when I looked, it was my dear friend, and Ynigo’s Ninang Nikki! Apparently she was overseeing the event logistics since this was one of her company’s clients. She gave me a run down of where the booths were located. Megatrade Hall was huge, and it was easy to get lost in the busy-ness of the expo. She pointed us to where the marine conservation orgs were located after smothering her inaanak with some love. There were all sorts of things organizations that spearhead in preserving and saving our oceans. It was a delightful sight to see a lot of people - young and old - finding joy in educating themselves with how they can help. Danjugan Island is a marine and wildlife sanctuary. A project started by The Philippine Reef and Rainforest Conservation Foundation, Inc - it aims to be an ecotourism destination that educates about conservation, environmental awareness, sustainable livelihood, science and research. They also offer marine & wildlife camps where youngsters, adults, couples and families can all come and experience Danjugan! Scientists, teachers, and environmentalists who are at the forefront of forest and marine conservation will be there to arm you with what you need to know. Activities include snorkeling, trekking, bird watching, beach clean-ups, art activities and games. Our waters, our beaches are not just for our taking. We were talking to Charlie who was so accommodating with our questions. We learned so much about their goals, programs and facilities. If you’re interested, you may get in touch with them by emailing experience@danjuganisland.ph! The Philippines has one of the world's largest coral reef areas. We need to protect these worldly treasures. Reef Check is a worldwide-known non-profit organization dedicated to marine conservation, especially coral reefs —focuses on involving people in coral reef monitoring and protection as well as finding financial incentives for conservation. They work hand-in-hand with other communities to implement ecologically sound solutions to protect and rehabilitate our corals. You can get involved by being a volunteer for coastal clean-ups, or train to be an Eco Diver where you are taught coral reef monitoring techniques and gather necessary data to know where we’re at, and what we can do to stop coral deterioration. There are debates as to whether corals can be rehabilitated. But as someone who finds this all too new, I know we will develop ways to save the reefs! The MWW actually started out as a Facebook Page [nine years ago] that grew into non-profit, non-stock, conservation organization under the Securities and Exchange Commission (SEC). It is primarily an outlet for info on marine wildlife - such as dugongs, dolphins, whales, sharks, and more. Since then, MWWP has been involved in various projects and activities that aim for a better appreciation of the marine environment, its ecological processes, and how it affects us all in the local context. There are a lot of ways to help the marine fauna. For starters, making a habit to reduce use of plastic will lessen the waste that goes into the ocean. Be open-minded and keep learning! MWWP’s Facebook page is a gold-mine of information! Better check it out to be more informed. 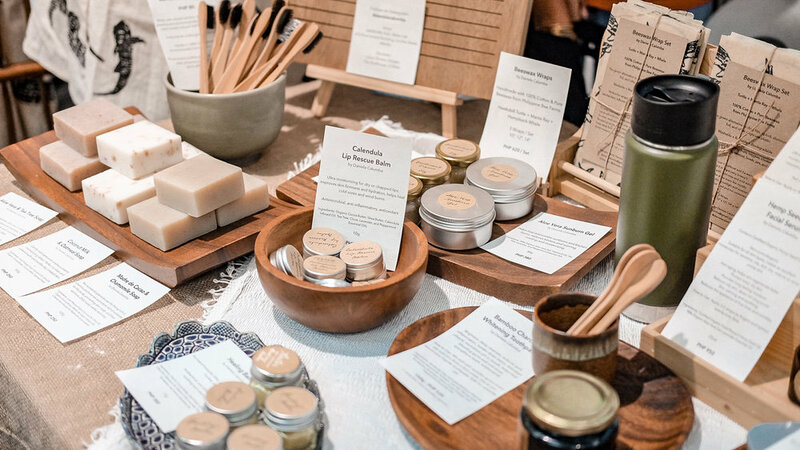 Apart from these organizations, we also saw a lot of LOCAL brands who promote zero-waste and mindful living. Our favorites included The Bamboo Company, Daniela Calumba and Magwai! I’m a big fan of Daniela Calumba’s work. From her beeswax wraps, eco-friendly deodorant, healing balms and soaps ~ her products represent the eco warrior princess that she is. Everything she makes involves a ‘slow’ process of doing things; which is how Nature intends it to be. The Bamboo Company is a start-up eco-friendly company that aims to preserve the beauty of the Philippines by reducing plastic wastes and providing an environmental friendly lifestyle of exploring the world. When Bobby and I saw the range of products they offer, we wanted to buy it all. We’ve been trying to reduce plastic-use with our family and trying to use things that are biodegradable or eco-friendly. We first started with our toothbrush… now, we just want to convert everything we use on a daily basis (like razors, lunchboxes, utensils) into bamboo. Magwai is a reef-safe sunscreen lotion. Normally, a lot of sunscreens contain chemicals that are harmful to corals. Four common sunscreen ingredients are shown to bleach corals at extremely low concentrations. So the makers behind Magwai made sure that every ingredient is safe for the reef; which is why it is specially formulated. They use Zinc Oxide and Titanium dioxide, which are natural ingredients that are safe for the coral reefs! Marine life can thrive and live peacefully and unharmed if we try to make the switch to eco-friendly options. You may not readily see the effects, but eventually, you’ll see the impact it makes, and the big change it can possibly influence in the current situation of our seas, our environment. Sourcing local, biodynamic, and sustainable ingredients that are farmed with love and care for the land is ESSENTIAL to my line. All products are either in glass or aluminum pots and bottles, which can be refilled. MAGWAI is a locally produced reef-safe sunscreen that was born out of our love and respect for the beauty of the coral reefs in the Philippines. MAGWAI is specially formulated to protect the ocean, as it protects us from the sun. A start-up eco-friendly company that aims to preserve the beauty of the Philippines by reducing plastic wastes and providing an environmental friendly lifestyle of exploring the world. Our vision is to have a clean water around the Philippines where marine life can thrive and live peacefully and unharmed by plastic wastes. That was basically our day at DRT! We hope you learned a lot from this. But more importantly, we hope that you will find a new appreciation for the things Mother Nature has provided us. We hope this post awakens you to being more mindful in your choices and actions. We hope this urges you to be proactive in saving the priceless treasure (aka our WORLD) that we have responsibility over. Be inspired with the efforts these organizations have taken in trying to. Acknowledging the problem is the first step. Assess the situation, and see how you can fit into providing a solution - no matter how small or how impactful it may be. Educate the youth, especially your kids. Surround them with the energy and dedication that the people behind these groups / brands put out to be agents of positive change! We’re slowly doing that for our son, and we hope that in one way or another, this post inspires you to dig more, to learn more and to step up! WHAT ARE YOU DOING RIGHT NOW TO SAVE THE ENVIRONMENT? WHAT PRACTICES AT HOME DO YOU DO? SHARE IT WITH US BELOW!